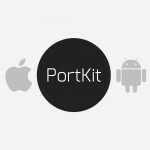 I have been working with Kintek since I first started my business in 2007. They have been invaluable and I could not have done it without them. I rely heavily on Kintek for technical support and guideance - they are the technology arm of my online business and I'm so proud of what has been achieved. Golden Carers engaged Kintek to develop a large scale website to deliver resources and social networking to health care professionals and carers working in aged care. Based on a subscription model, the website is tailored to a very specific niche and has quickly grown into a large and active community. A customised application was developed to support a variety of specific requirements including restricted content access, paid yearly subscriptions, a full suite of members only tools, facebook integration, members forum and much more. We continue to work with Golden Carers to provide support and add enhancements and new features. With 100′s of pages of activity ideas for aged care and content available, categorisation was an important consideration. We created a hierarchical categorisation system and the ability to tag page content in one or more categories as required. Categories are displayed with images to assist members to quickly scan for and find topics they are interested in. Registration to the Golden Carers website is a simple 2-step process and a variety of different payment options are available to suit a wide audience. Instant access is provided for credit card payments via paypal or the integrated SecurePay payment gateway. For other payment types an invoice is emailed to the member with relevant payment details and memberships are activated manually following confirmation of payment. Whilst website visitors can view all available content on the Golden Carers website, only a short summary of the content for each page is provided. Full website access is restricted to paid members only. Members can access and comment on all website content. Facebook integration is also provided to enable posts to be shared. 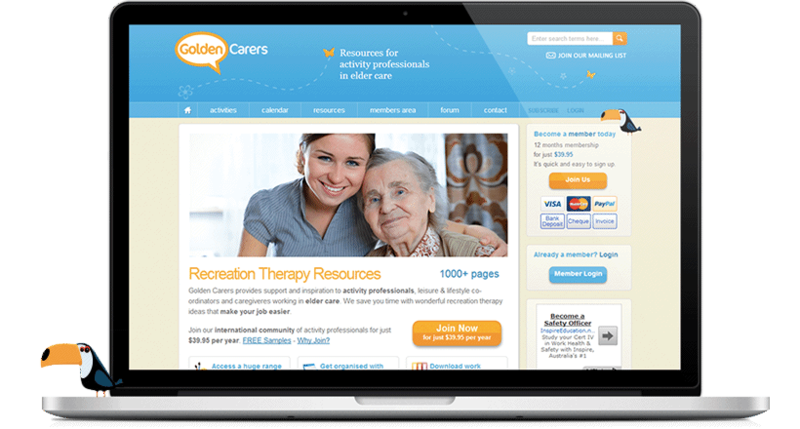 Members with paid subscriptions can access all content on the Golden Carers. They can also view recent updates, submit activity ideas and photos, renew their account and participate in a postcard exchange program with other members amongst many other members-only privaleges. A light-weight and easy-to-use forum was developed to enable members to post questions and receive feedback from other members. Members can subscribe to updates so that they receive email notifications of all comments or selected comment threads.